The Los Angeles Rams win over the New Orleans Saints did not come without its fair share of controversy and it seems Nickell Robey-Coleman is well-aware of why that is. With just under two minutes left in the game, Robey-Coleman made contact with Tommylee Lewis just prior to the pass. Although he could have been flagged for a number of penalties, the officials simply ruled the pass incomplete. It did not take long for head coach Sean Payton to confirm the NFL informed him of the mistake by the referees. As a result, Robey-Coleman was able to come clean on the matter as well. In the postgame locker room, Robey-Coleman had still not seen the play. He promised an honest answer if a reporter showed it to him. Upon viewing the play, Robey-Coleman burst out laughing. It is no secret the officials missed a blatant penalty by Robey-Coleman. They could have penalized him for pass interference or even helmet-to-helmet on the play, but they decided to hold onto their flags as they did throughout the whole game. 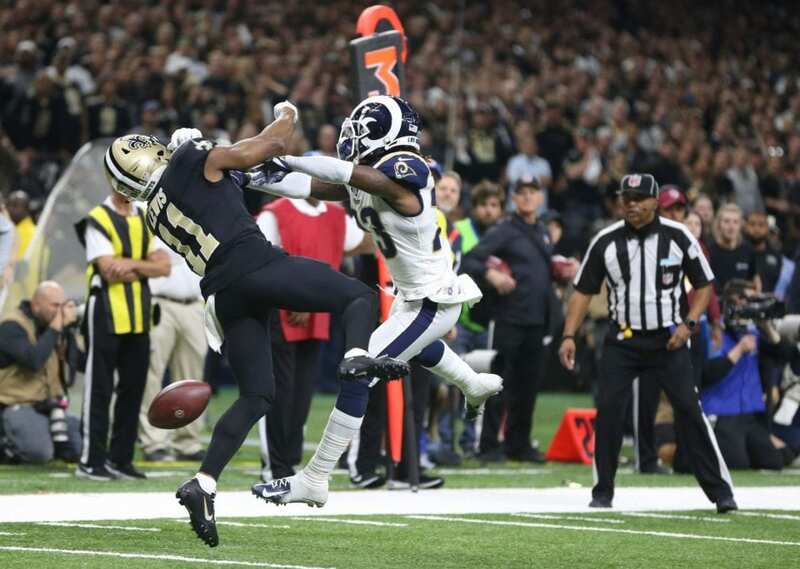 The Saints were ultimately forced to settle for a field goal which gave the Rams a chance to tie the game. Los Angeles has now punched their ticket to Super Bowl LIII following their subsequent win in overtime. There is no denying that the no-call had a drastic impact on the outcome, but the same can be said for a number of missed calls by the referees in the game. Regardless, the Rams were able to secure the victory despite a poor performance by the officiating crew.